I’ve been eating eggs forever, but never learned how to cook a hard boiled egg until I was about 20 years old. I am very particular about runny yokes (in that I really don’t like them), which is why I now have this process down to a science. I won’t bore you with the details of how I got here, but instead I will simply share with you the best way to boil an egg. 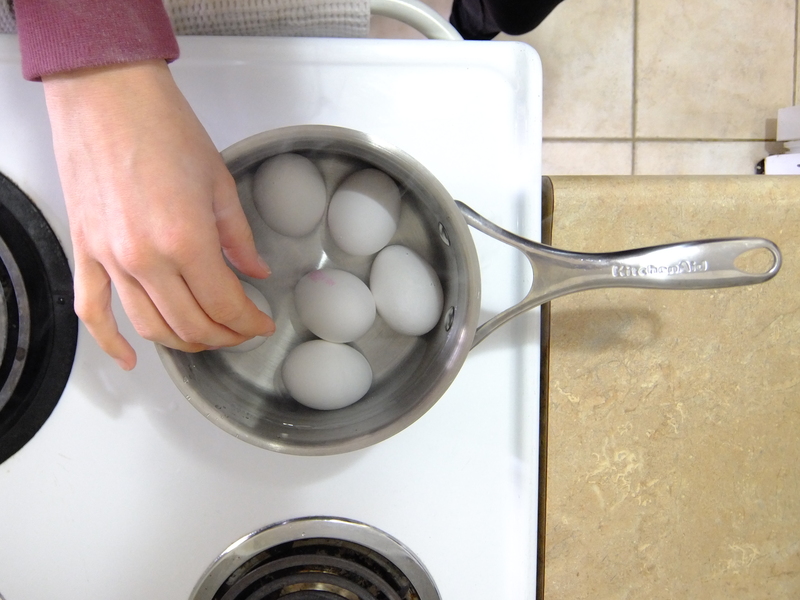 The key to boiling a perfect egg is in the temperature of the water when you drop the eggs in. Too warm, and they will definitely crack. I prefer to drop my eggs into cold water before turning on the element, so that the water and eggs can get warm together. 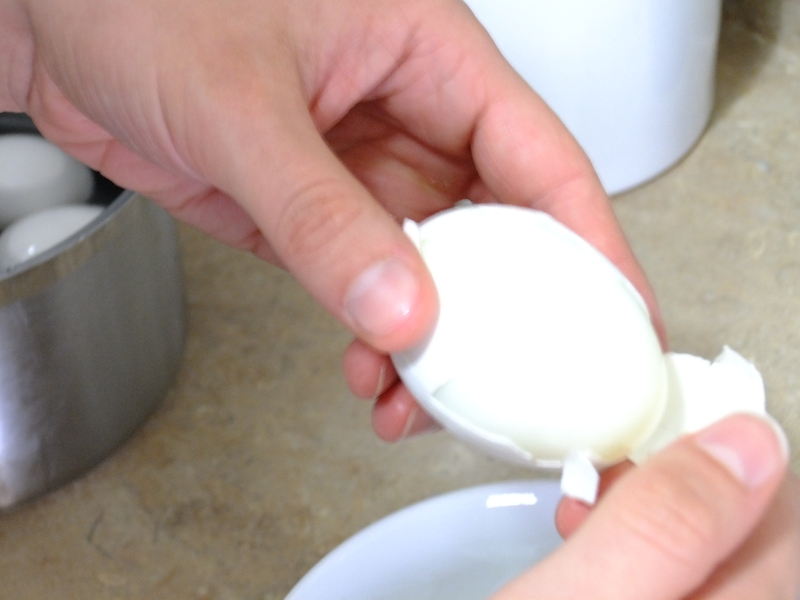 You can also add a tsp of white vinegar to stop the eggs from cracking and spilling out. Next step is to turn the element on high and bring the water to a boil. 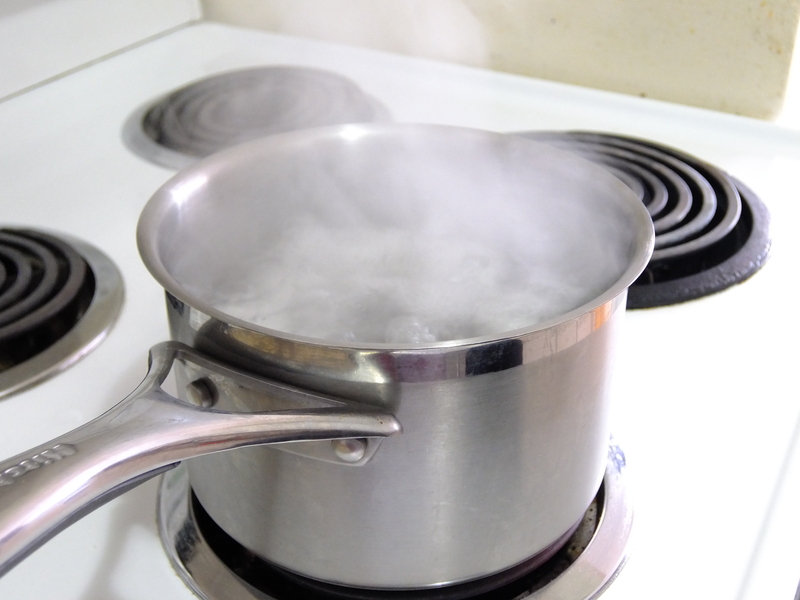 Let boil for 1-2 minutes before removing from the element and covering with a lid. Put your timer on for 15 minutes and let the eggs sit on a cold element. 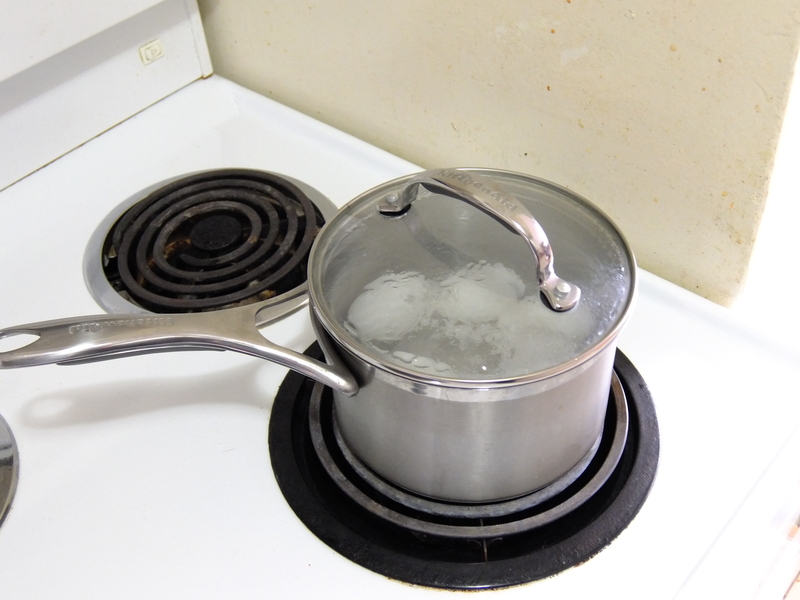 After 15 minutes, drain the hot water and replace with cold water. I do this a couple times to make sure the eggs have properly cooled. I find it’s easiest to peel the eggs when they are still warm. I also like keeping them in the water until right before I peel them, so that they don’t dry out. (If you’re not eating them right away, feel free to leave them in the shells.) They say the if your egg is perfectly boiled the shell should be easy to peel off, so this will be your first indication of whether you have done it right or not. I prefer to knock them a bit on the counter before I start peeling. And there you have it! 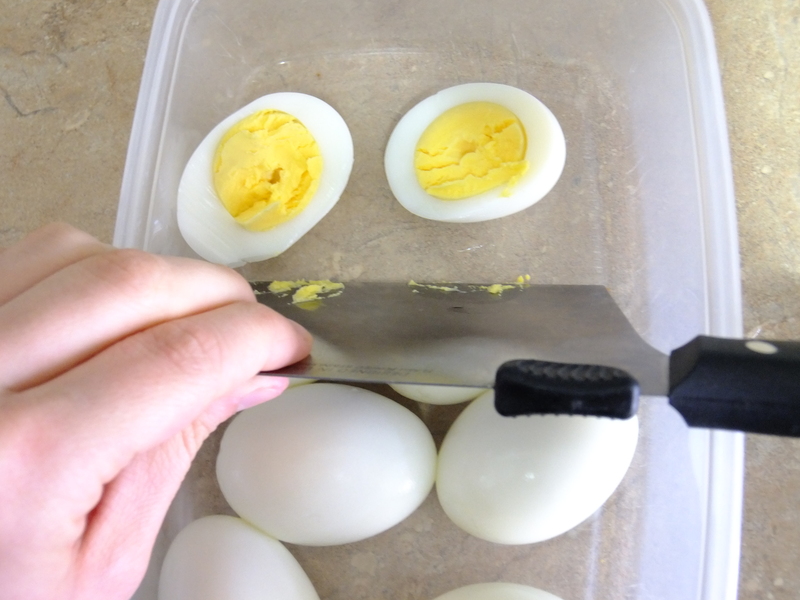 Perfectly boiled eggs!